Vans are known for their comfortable and casual slip-on sneakers. Using your favorite fabric dye you can easily freshen up a pair you already own, or customize a new pair to fit any season. 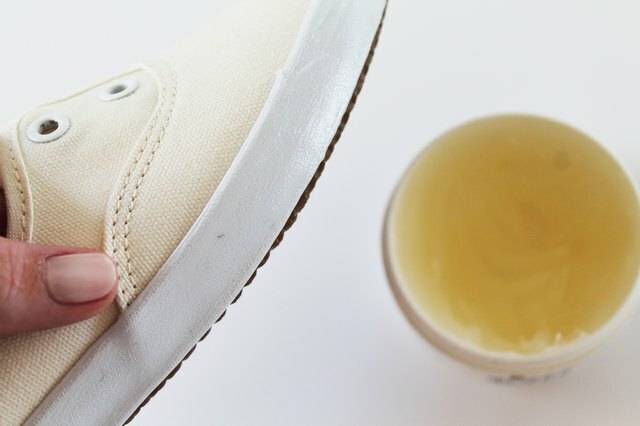 Rub a thin layer of petroleum jelly onto the rubber edge of your shoes to prevent staining. Avoid rubbing any onto the fabric parts of the shoes, as this will make it impervious to the liquid dye. 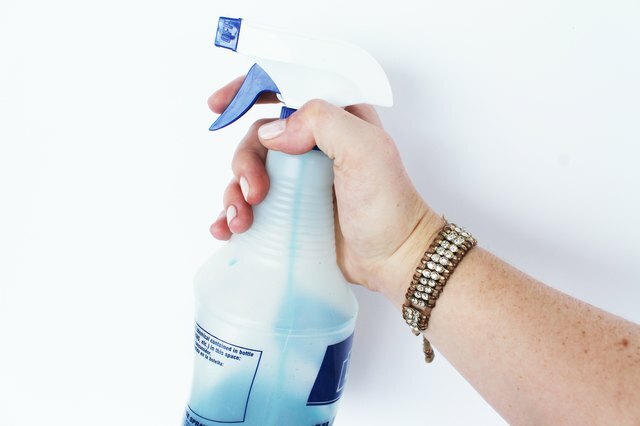 In clean spray bottles, measure and mix fabric dyes according to directions on packaging. Keep in mind many dyes require additives like salt to work as a color fixative with natural fabrics. Shake spray bottles well to mix and dissolve dye. Fabric dye can stain hands, clothing and surfaces -- so be sure to adequately cover your workspace with plastic sheeting and wear gloves while dyeing. 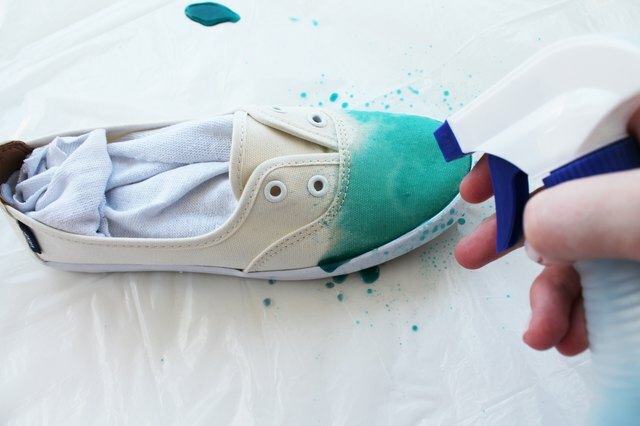 Roll up two rags or paper towels to place in the soles of the shoes to absorb run-off dye. 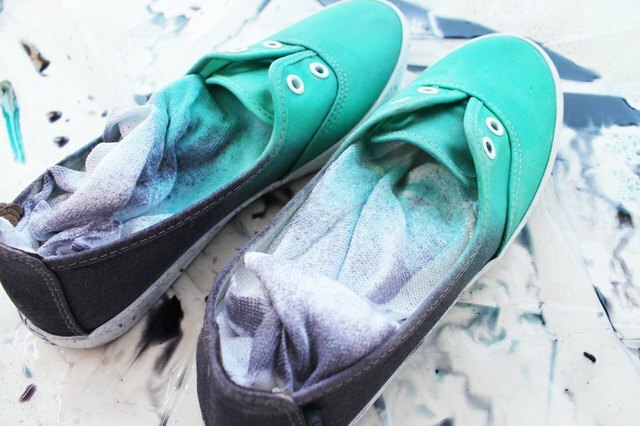 Spray desired dye colors onto the canvas of the shoes, saturating the fabric evenly from front to back. Try blending two contrasting colors for a modern ombre look. Run your shoes under cold water in a sink before sitting in the sun to dry. Use a warm rag and dish soap to remove any remaining petroleum jelly from the soles of the shoes. If you're concerned about colors bleeding or transferring onto skin or clothing, spray your Vans with a coat of waterproofing sealer. After your shoes have dried, replace laces and sport your colorful kicks all around town. Have questions about which dye to use? Want to suggest a perfect color combination? Leave them for us in the comments below!